Man With Van Hire services In London for house removals and clearance. Manwithvan.pro is a family owned removals business. We are operating in London for the last 15 years. We are among the most trusted man and van services provider in United Kingdom. We make sure that every relocation job is handled with due care and our customers experience a hassle free relocation. Our expert movers are even available on short notices. It is our duty to load and unload all your items. We offer fully insured services make sure that your items are fully secured in our vans during the transit. Man and van hire offers complete house removals services throughout United Kingdom. Our movers can handle all sort of domestic and commercial relocation jobs. 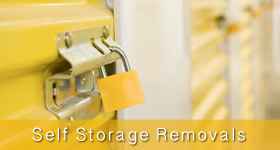 With years of experience in hand, we tailor our removal services as per our clients requirements. With no hidden charges or call out rates, we guarantee cheapest moving services with 100% satisfaction. We our reliable removals services, you should not worry about any disturbance in your office working hours. Whether you are moving to a new office or to a new floor at same premises, our men can do it. Our men can handle all sort of packing of your items. We will disconnect and reconnect all your office equipment professionally. Just call us for a no obligation quote. Our man and van hire services can help you in moving your items to and from self storage facilities. We are also recommended by many self storage companies in UK and can move your items in and out on the same date. We will provide you a complete list of items that are stored and in case you need any item back any time, we will deliver it to you. Available on short notices with extra charges. With our man and van services, you can confidently bid on any items on eBay. Also, our same day delivery services will collect and deliver your IKEA items at your door step. Our movers can handle all sort of large items for delivery which cannot be moved by conventional courier delivery services in United Kingdom. We are reliable removals company operating in London and are also recommended by most of the property agents. We use transit vans for all sort of small removals that just require few items to be removed. We are also offering student removals services at a very low rate and students can also travel with us in our transit van. Call our man and van services for the clearance of your unwanted items from your garage, garden and shed. 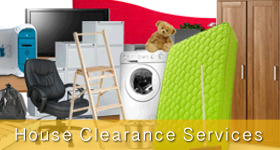 We do junk clearance and rubbish clearance. There are no extra charges and we make sure that our man and van services leave your property as clean as possible. We dispose your items as per laws and regulations and can also take it for charity.